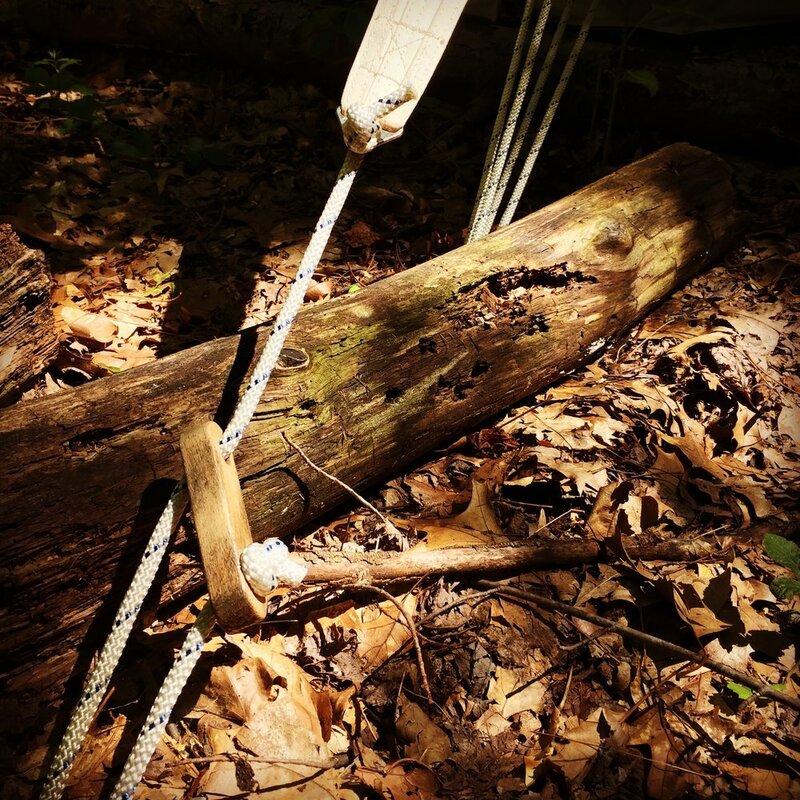 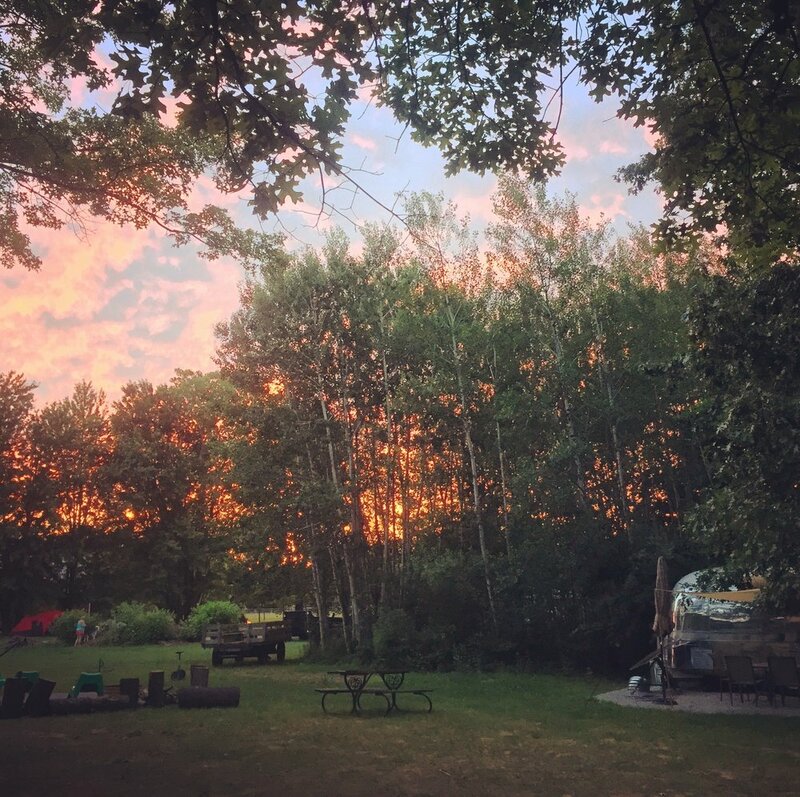 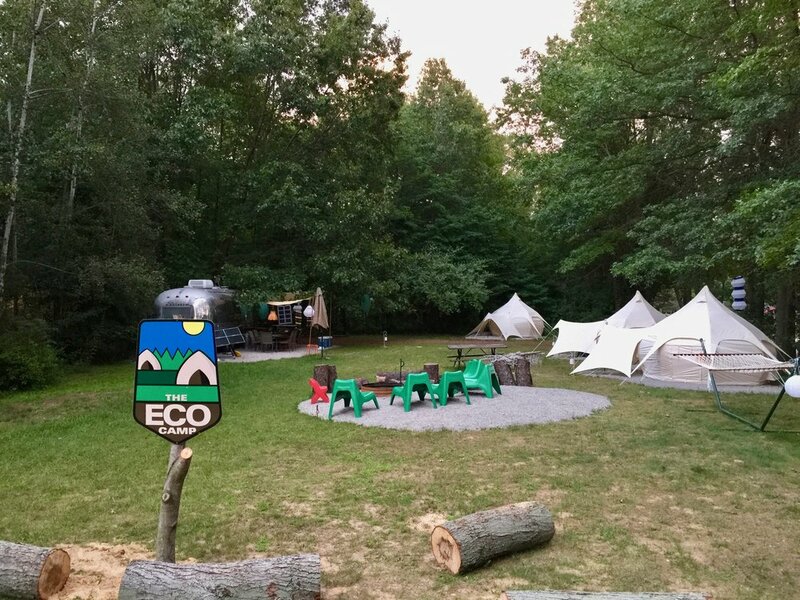 The Eco Camp is excited to provide luxurious tent camping to visitors of the Oak Openings Region. 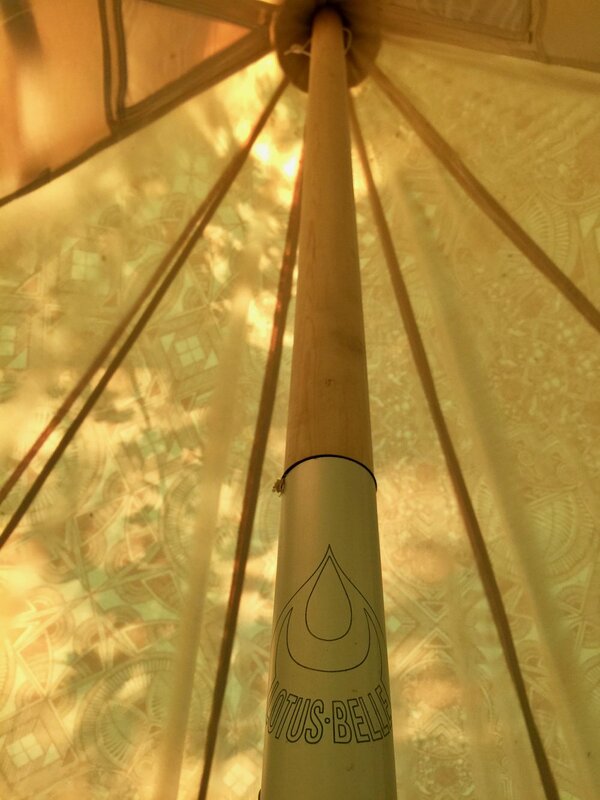 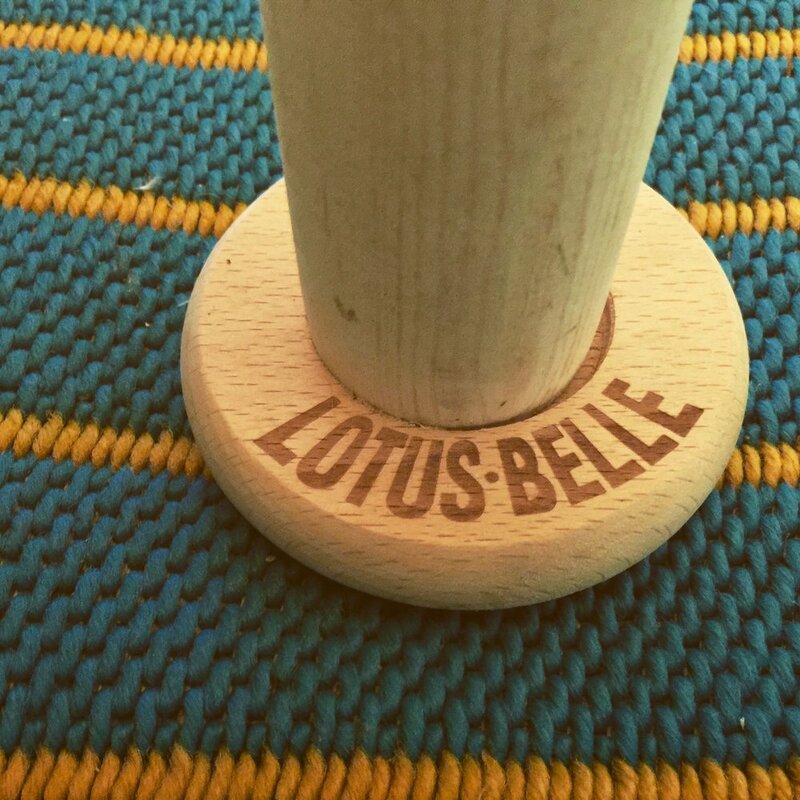 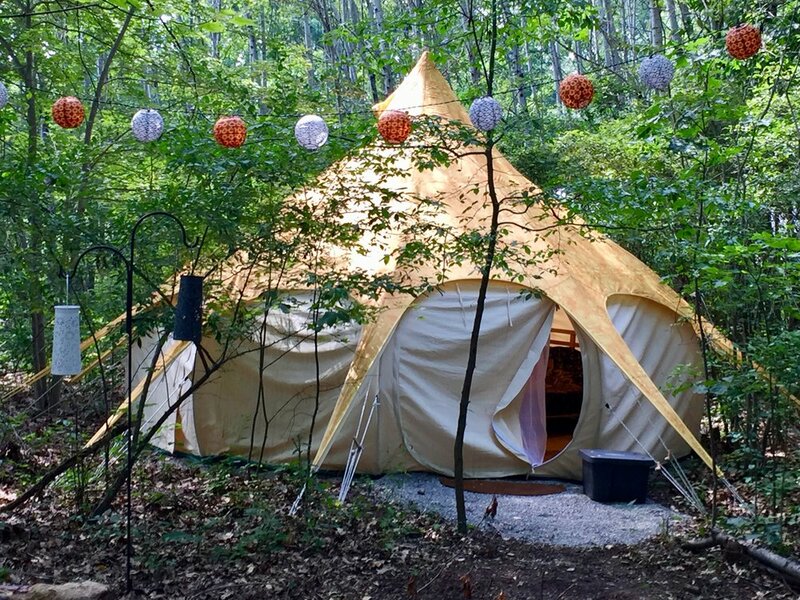 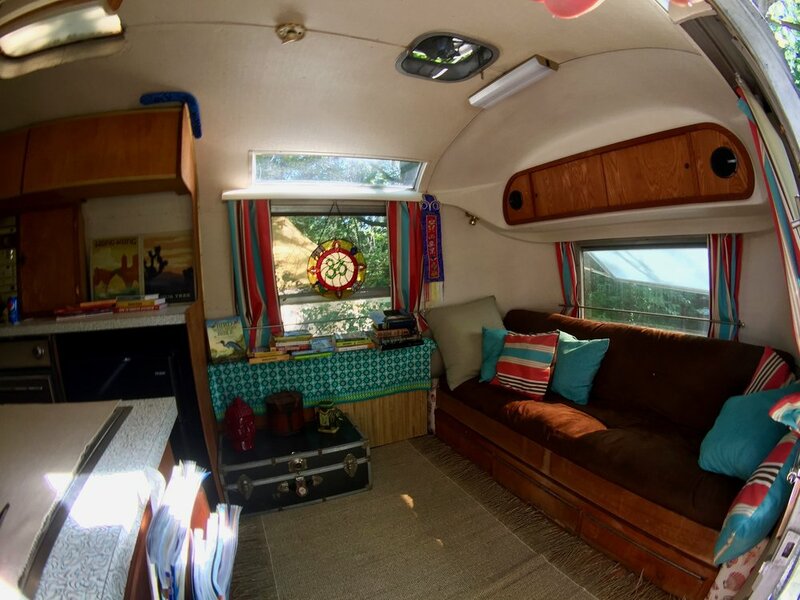 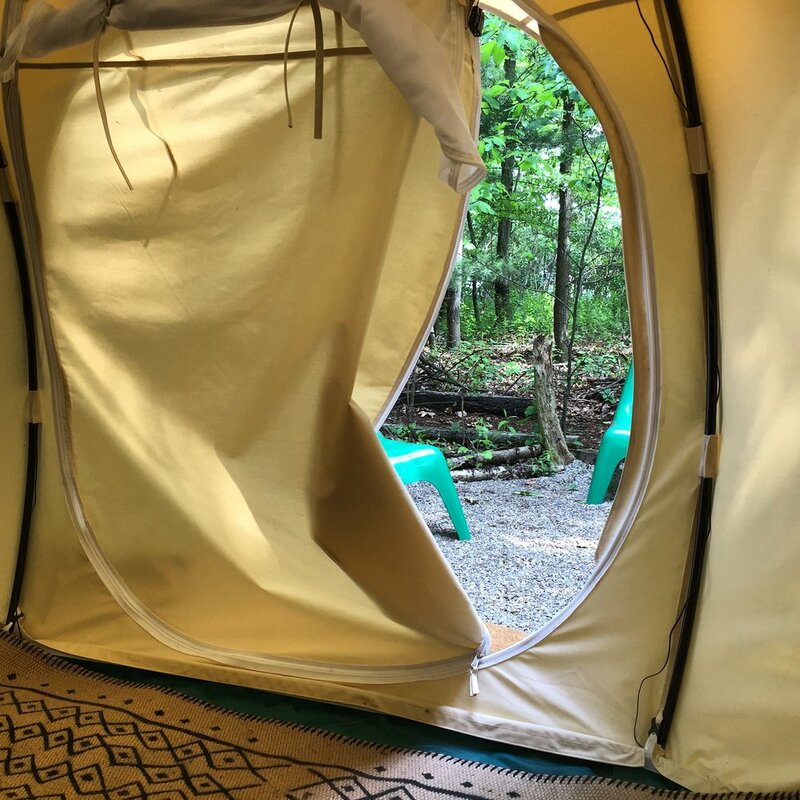 The Eco Camp is excited to offer you luxurious and spacious Lotus Belle tents in 16-foot diameters. 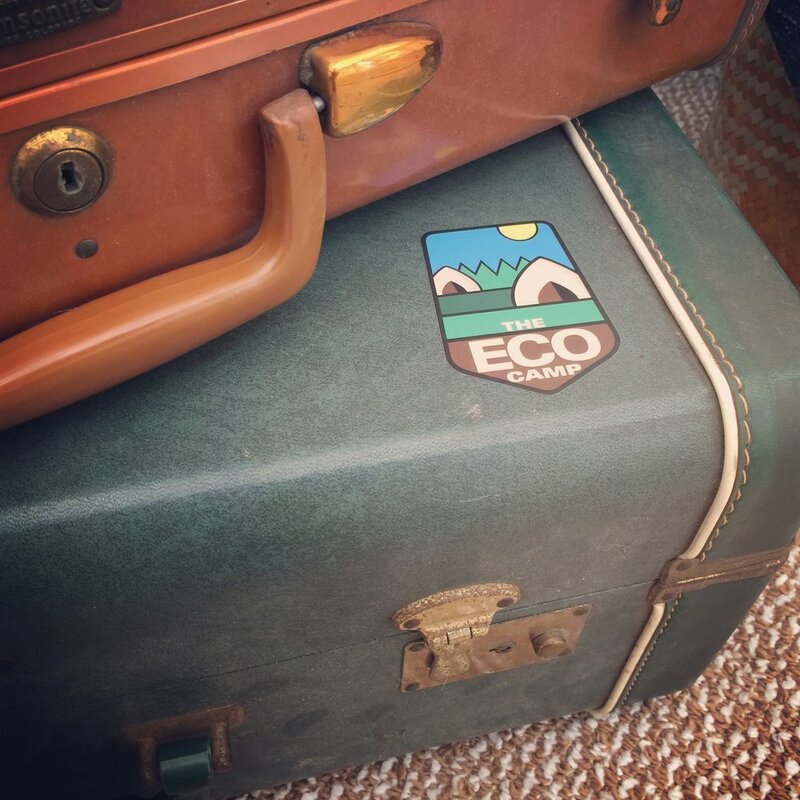 Our goal is to provide you everything you may need for an awesome stay. 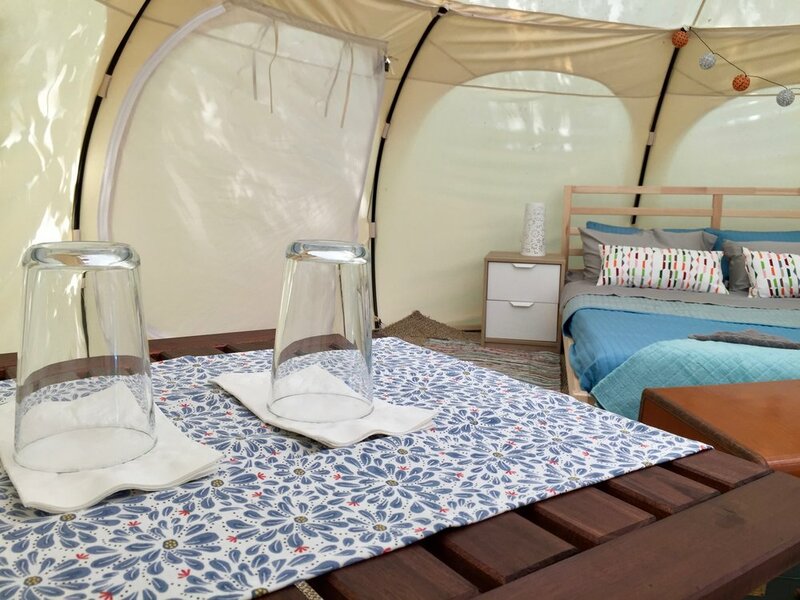 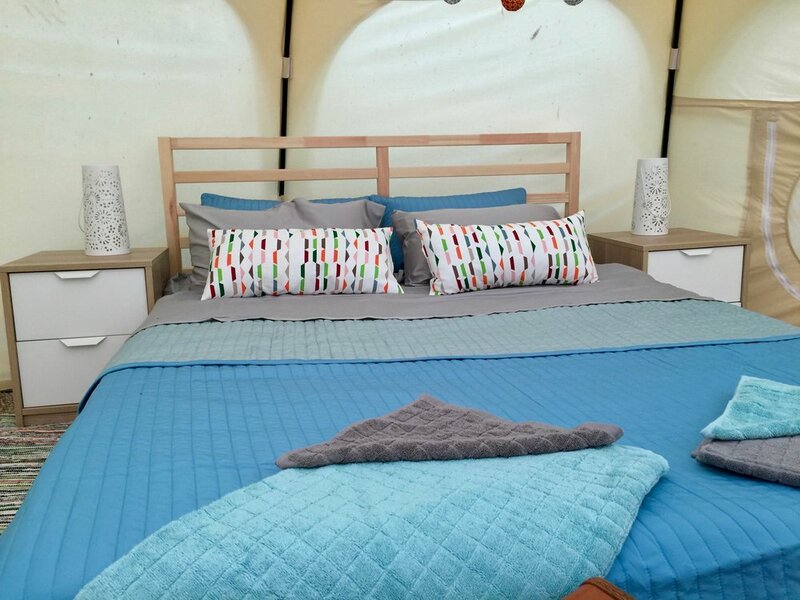 Each of our tents comes carpeted and with a super comfortable queen-size mattress, a charcoal grill, silverware, plates, cups and glasses, solar lights and a battery pack to power your smartphone or tablet. 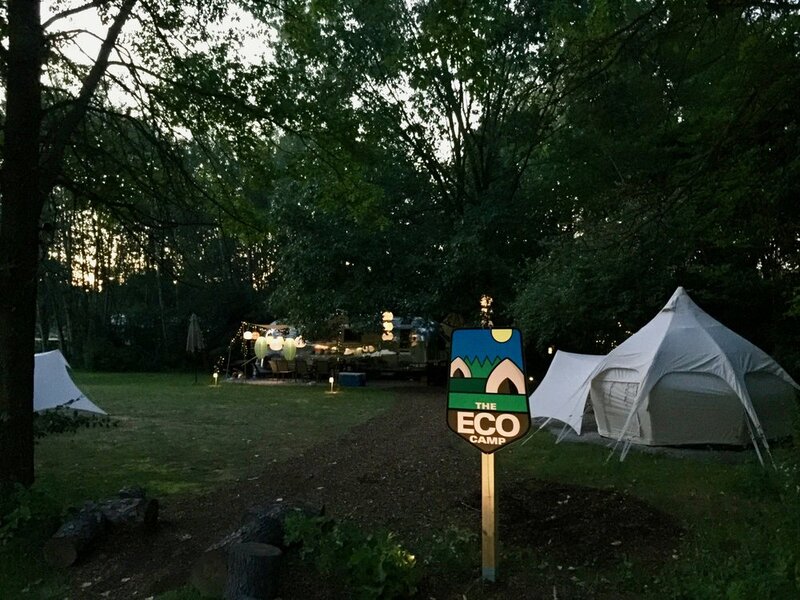 Enjoy camping in beautiful Oak Openings, just west of Toledo, OH. 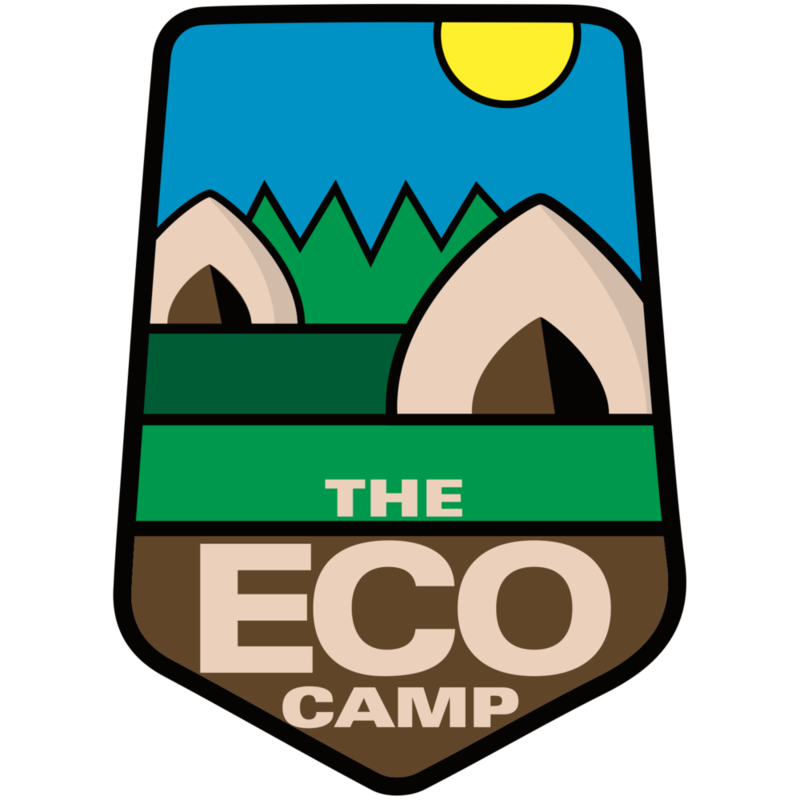 The Eco Camp offers amazing tent camping to outdoors enthusiasts from all over the region. 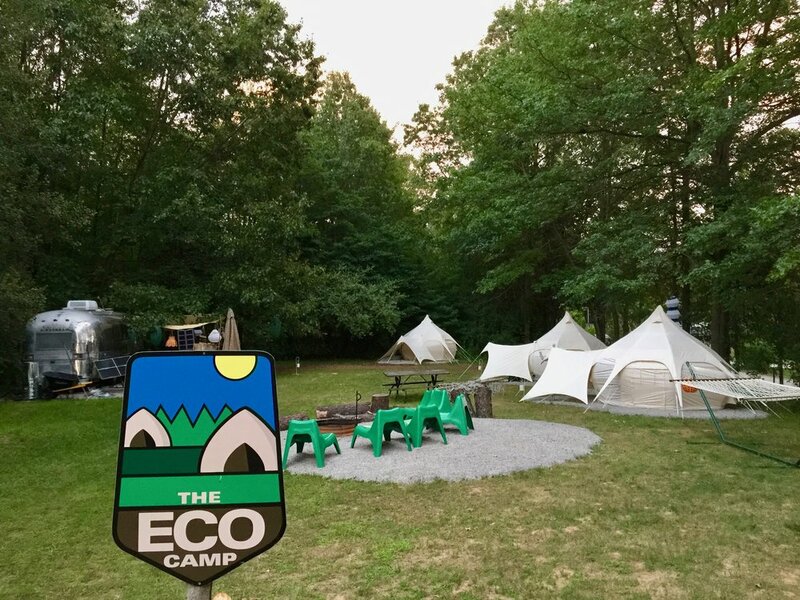 Take a stroll through part of The Eco Camp. 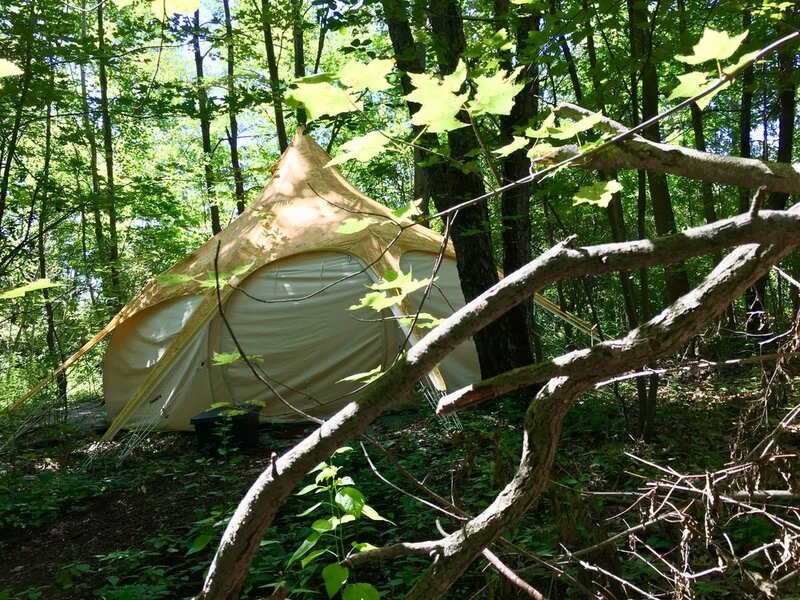 All of our tents come carpeted and furnished and offer you a wonderful stay surrounded by the sounds of nature. 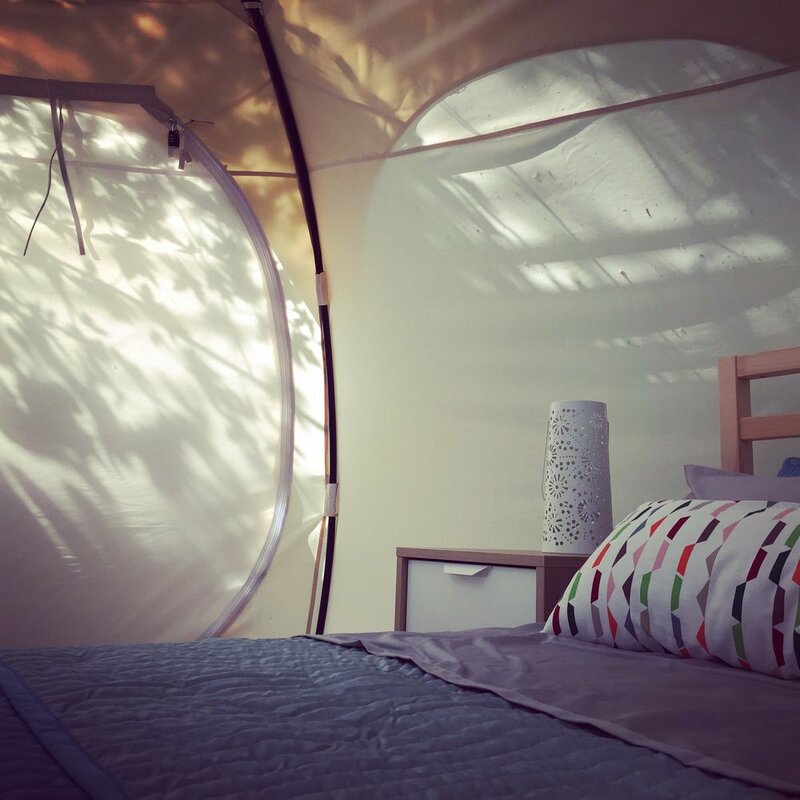 We provide solar lights as well as battery packs to charge your personal electronics while you are a guest with us. 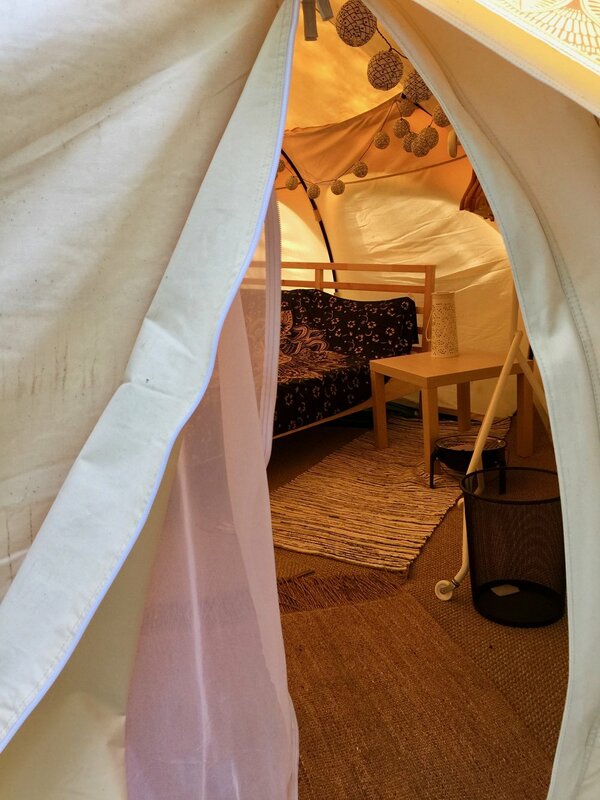 children bring their own complete set of bedding to use on the cots, please. 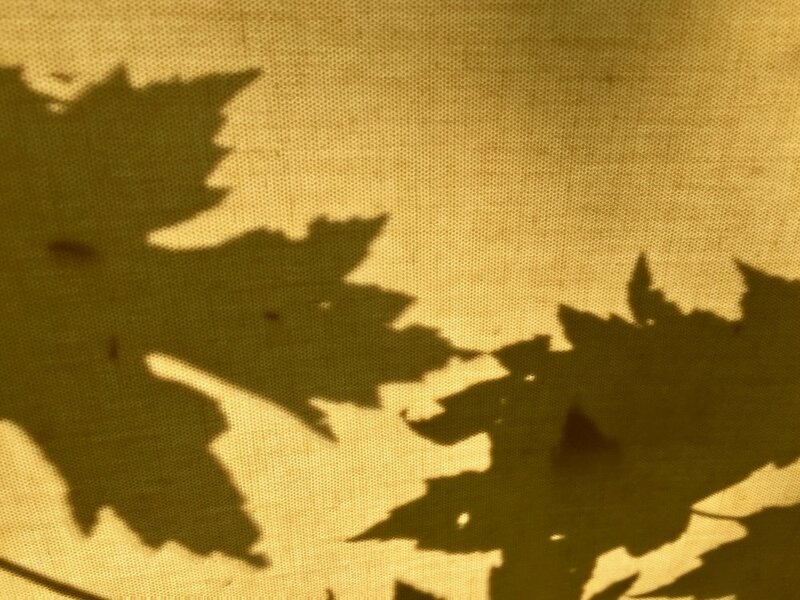 Pillow provided.